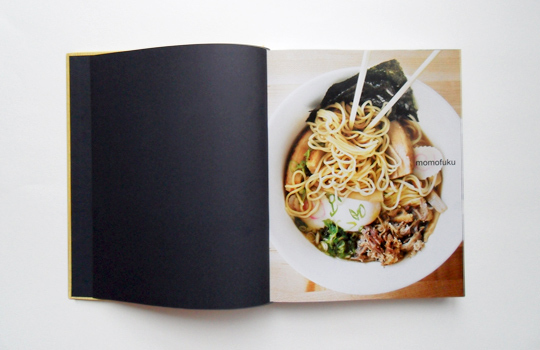 I held my breath when I heard there was going to be a Momofuku cookbook. 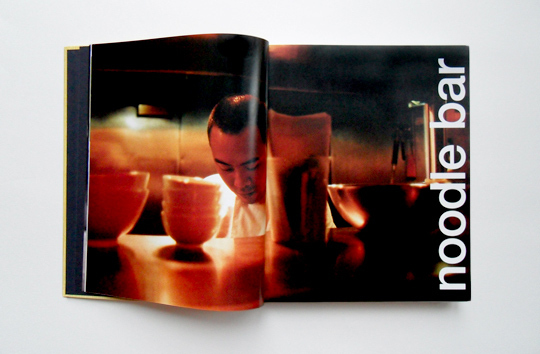 Restaurant cookbooks are always a tricky proposition, a tenuous juggling act of self-praises. Inevitably, the chef, the restaurant's philosophy, the restaurant itself, and (often an afterthought) the food, are all forced on us as individually iconic elements of culinary history — whether or not they actually are. It's a rare restaurant that deserves the temporary immortality of a cookbook, and rarer still that a cookbook really does capture that restaurant's essence. 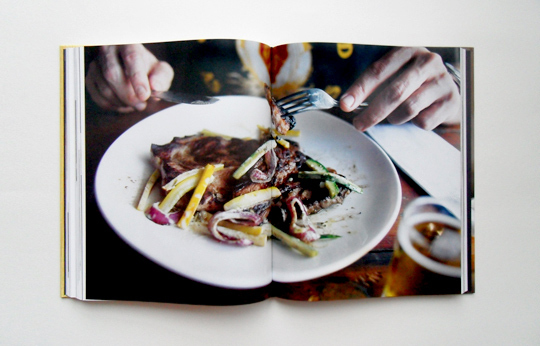 When it does all come together, it's glorious — French Laundry, Alinea, The Zuni Cafe Cookbook. And when it doesn't — well, I'll spare the dignity of those restaurants that put out books without bringing anything to the table. They know who they are. So a Momofuku cookbook had the potential to fail spectacularly. David Chang and Momofuku (I mean the brand — let's not put too fine a point on assigning responsibility to one restaurant or another) completely changed the restaurant landscape. 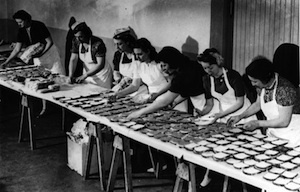 They upended the rules for plating, flavor pairings, service, restaurant design, reservations, even menu organization. Unless the Momofuku cookbook managed to perfectly capture the wild, haphazard magic that enabled every element of that mammoth game-changing, it was going to bomb. Hard. But the moment of truth has a way of always arriving: I've had Momofuku (Amazon ), by Chang and Peter Meehan, sitting in front of me for quite a while now, I've read it cover to cover at least three times, and there really is no other way to put it: this book is awesome. The particular brand of awesomeness here isn't so much a product of the recipes — though, unsurprisingly for preparations pulled straight from the various Momofuku kitchens, they're awesome in their own right, exciting and flavorful and painfully creative. They're also intimidatingly complex: "This is the world's longest recipe for chicken wings," writes Chang in one headnote. "Sorry." Even dishes that appear simple (Ramen: broth, noodles, toppings) turn out to be epic in scope (the broth has its own subrecipe, and one of its ingredients has its own subrecipe, and so on). But it's no measurably more intricate than recipes that appear in the cookbooks of other kitchens of this caliber. After all, people don't go to Chang's restaurants to eat food they could easily make for themselves at home — and he realizes as much. "I have no idea why anyone would try to make a torchon of foie gras at home," he writes in the torchon of foie gras headnote, ultimately conceding its inclusion to "those who won't be deterred by common sense." It's exactly that conversational, confessional voice — which, fair warning to the verbally conservative, is quite profane, but who f*cking cares — that really elevates Momofuku. Supporting the the recipes are a terrific backbone of ephemera: transcriptions of Chang's ramen journals, emails from early Ko menu planning session, tangential meditations on oyster shucking and kimchi, and guest-star interstitials. Wylie Dufresne delivers an impassioned, philosophical defense of meat glue. Allan Benton tells a history of cured meat that starts years before he was born. And while sitting down for a cover-to-cover read might leave you inclined to skip over the technical parts of the recipes, save room for the headnotes: some stretch pages long, delivering backstory in stunning, rigorous detail. Never have I seen a cookbook so uncensored, so unself-consciously jam-packed with stories. But the main story here is something else entirely. Chang (with an able assist by his writing partner Meehan) opens each of the book's three chapters with a piece of Momofuku's history, and he doesn't hold back. All told, more than fifty of the book's three hundred pages are devoted to what is essentially Chang's culinary life story, a book-within-a-book that's a gripping account of the seemingly accidental ascendance of Momofuku, and a better read than any other kitchen memoir I've come across. Without pretension or affect, the story moves from Chang's pursuit of the perfect bowl of ramen, through the tremendous organizational misfires that gave rise to Noodle Bar and Ssam Bar, and closes tenuously with Chang's reluctant acceptance of just how influential a chef he has become. It's truly riveting drama. But perhaps more importantly, it provides both context and justification for the massive hype that hangs like an albatross around Chang's neck. Momofuku isn't intended to be an extension of the Chang empire, which changes the game for everything it touches, so much as it's a chronicle of it. But even more than that, I wonder if it's designed to be an explanation: Chang's reluctance to accept his success and fame is a pervasive theme through the narrative, a notable (but not surprising) counterpoint to the attitudinal swagger he tends to adopt in real life. Here he reveals a strong sense of obligation and gratitude, returning often to the idea of his relationship as kung-fu (student) to his various mentors' si-fu (teacher), and relishing frustration and struggle more than the excitement of accomplishment. But despite his tendency to cast most of the restaurants' breakthroughs as unlikely upshots of horrible mistakes (the pork belly braising method, shaved frozen foie gras, and cereal milk panna cotta, among others, are all attributed to accidents and mishaps), reasons for Momofuku's far-reaching influence begin to pile up like evidence. By the end, even Chang sounds convinced (if only just barely) of his own legitimacy, and it would be hard for any Momofuku naysayer not to concede at least a little. But even if you hate Momofuku, even if you're one of those people who thinks Chang and all his press appearances and badass posturing and impermeable reservation system are several loads of complete crap (and if you are one of those people: have you tried the pork buns? Because you should), you'll still love this book. Why? Because it is inherently, objectively great. It's a stunningly successful encapsulation of an ephemeral thing — the voice, the pictures, the story, the information are all dead on. It's the world of a challenging, important chef wrapped up in a beautiful, important package. It simply is Momofuku. I love how thorough the book reviews on EMD are. Thank you. This book sounds like a must-read. Must-purchase? We'll see about that! The $40 list price is a little steep, true, but it's a way more reasonable $23.99 on Amazon. But what about the recipes? Did you cook anything out of this book? Are they - or even some of them - even remotely do-able for the motivated home cook? Reviews of the prose are nice, and many do buy these books as eye candy but many more would like to cook from them. that insight would be helpful in your reviews. Thanks. Given enough motivation, every recipe is doable for a home cook. For the most part the recipes here aren't inherently difficult, they're just very labor intensive (and often involve specialty ingredients). Some things, like the pickles or the sauteed rice cake, are surprisingly quick and easy, but on the whole this is definitely not a weeknight-quick-dinner book. File it mentally with books like French Laundry, On The Line, Happy in the Kitchen — they're intense restaurant recipes that aren't dumbed down for the home kitchen. "It's a rare restaurant that deserves the temporary immortality of a cookbook, and rarer still that a cookbook really does capture that restaurant's essence." I love that. Seriously fabulous cookbook reviews. Thank God I live in China and can get noodles everyday, otherwise the fact that I cannot buy this book would sadden me to no end. This is what other cookbook reviews should be measured against. It does *such* a good job of zeroing in on what makes a book (and the chef/restaurant that spawned it) special -- good and bad -- and then providing smart, literate, criticism that's informed by an obvious love of food, cooking, and restaurants. Not to mention words and books. 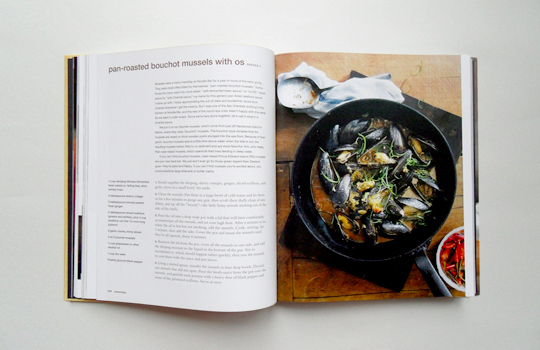 I want more reviewers who hold their breath at the mere mention of a cookbook coming out. Who are wordy enough to put "ephemera," "tangential," and "interstitials" into one sentence and down to earth enough to use "awesome" three times in two other sentences. Who have the insight to figure out a book's core and tell us readers what it is: David Chang explaining and expressing gratutide for his fame. 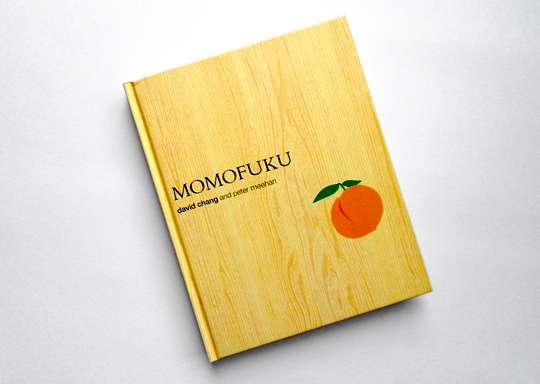 I'm sure I'm going to enjoy reading Momofuku. I definitely enjoyed reading this review. If more writers and publishers worked with reviews like this in mind, it would make for better books. Thank you for that beautiful review! As a Londoner I was completely ignorant of momofuku's existence, let alone this book. I love labor intensive recipes involving hard to find ingredients, so I'll definitely look out for it.